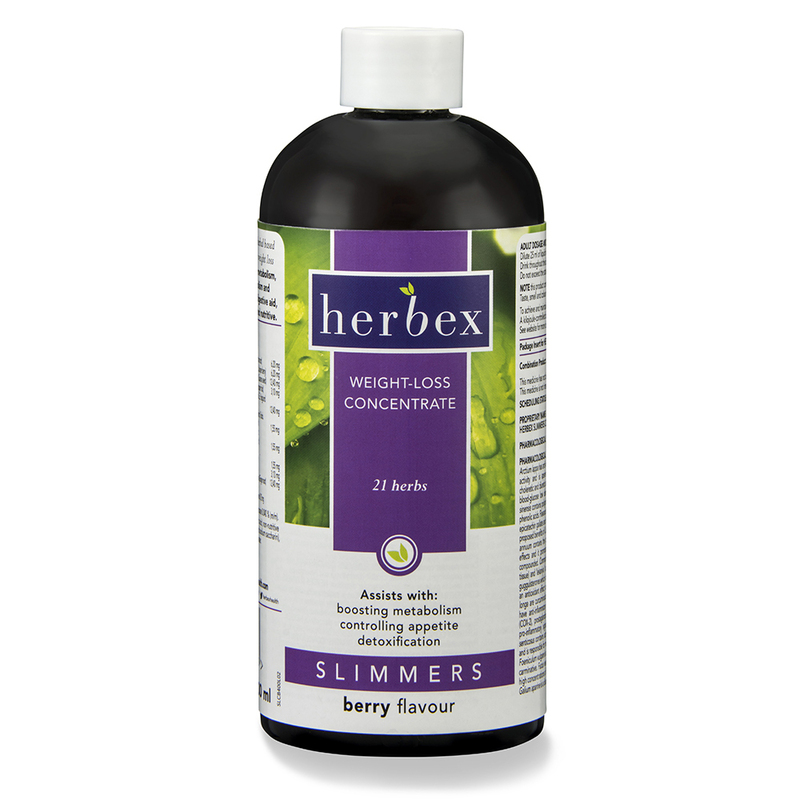 Herbex Slimmers Concentrate is a tasty berry-flavoured drink, containing 21 herbs that will help weight-loss by boosting metabolism, controlling appetite, fat metabolism and detoxification, and by acting as a digestive aid, diuretic, mild laxative, liver tonic and nutritive. Preservatives: Potassium sorbate 0,025 (m/m). Sodium benzoate 0,040 (m/m). 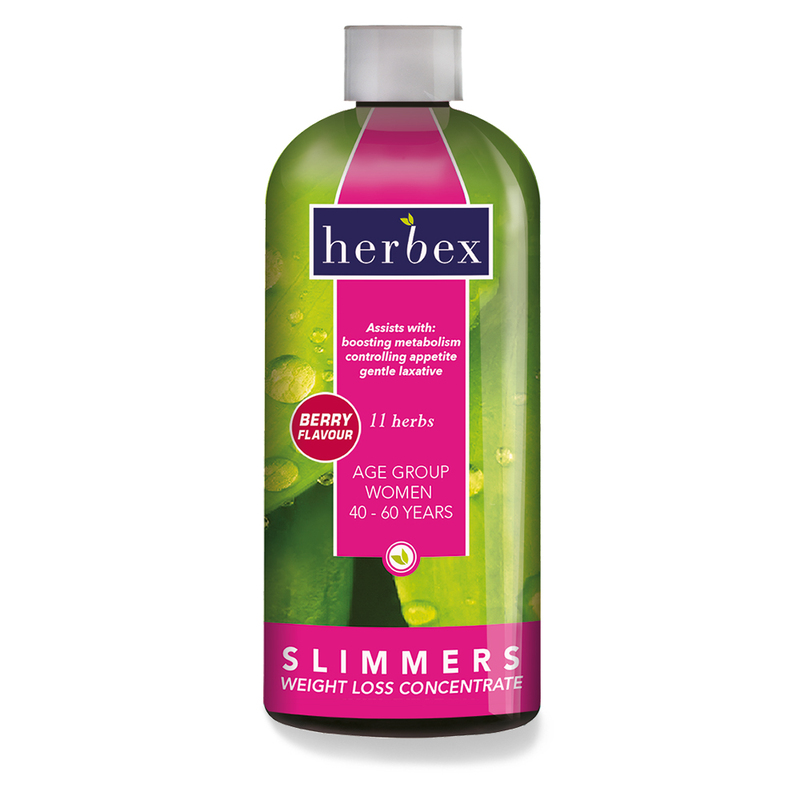 Inactive ingredients: Alcohol, carmoisine (colourant), citric acid, non-nutritive sweetener (containing acesulfame K, sodium cyclamate and sodium saccharin), potassium sorbate, raspberry flavouring, sodium benzoate, sorbitol and strawberry flavouring. Free from artificial colourants, flavours and sweeteners. Gluten, yeast, egg and wheat-free. Not recommended for use during pregnancy or breastfeeding. Do not use in conjunction with any blood-thinning medication. 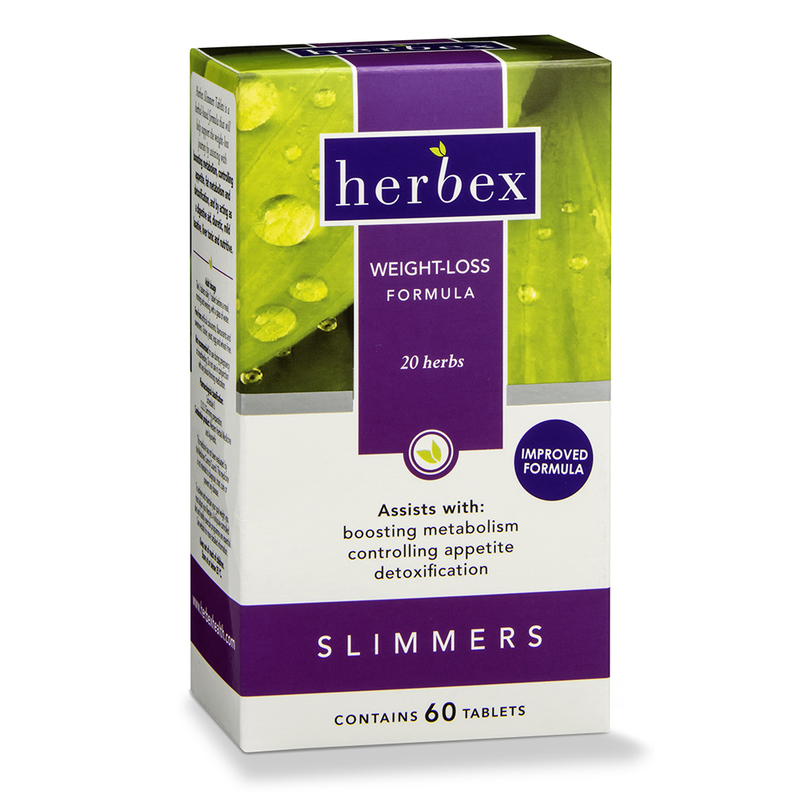 Pharmacological classification: D.32.3 Slimming preparation. To achieve and maintain your goal weight you must adjust your lifestyle. A kilojoule-controlled diet and healthy exercise programme are essential.